I used a Go Boston Card All-Inclusive Attraction Pass and ended up saving $10 off combined admission to all of the museums. And then I spent my savings on breakfast (worth it). 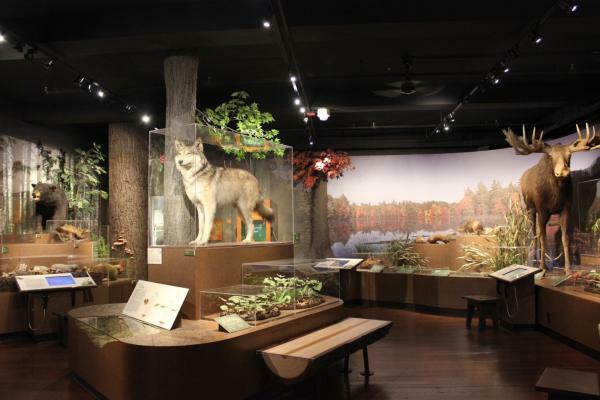 Getting in: Harvard Museum of Natural History tickets are included on the Go Boston Card All-Inclusive Pass. Just show your pass to the staff and you’re in. 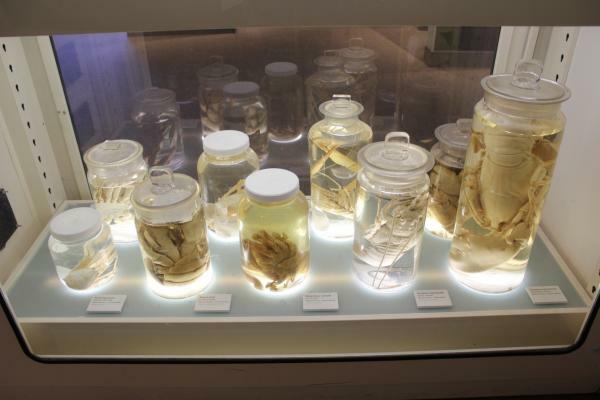 With my coffee to go and umbrella in hand, I made my way over to the Harvard Museum of Natural History (about a 10 minute walk through Harvard Yard – stop by the statue of John Harvard on the way and rub his foot for good luck!). The Harvard Museum of Natural History is essentially three museums in one: Comparative Zoology, the Herbaria and Mineralogical Museum, and a Geological Museum – I spent most of my time absorbed in the comparative zoology section just reading about and studying the fascinating crustaceans and insects on display (if you took a look at my camera roll from my visit you might think I have an obsession with preserved animals in jars). 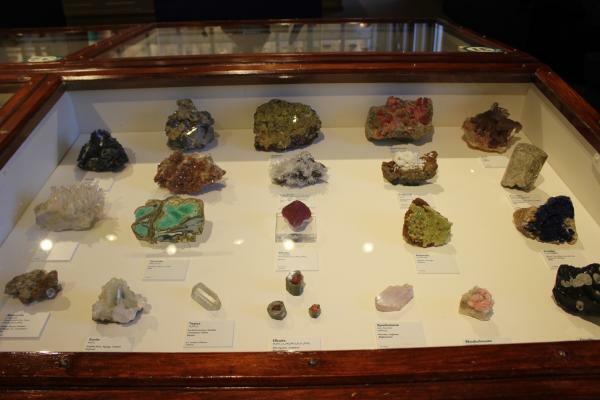 By the time I made my way to the final section of the museum, the giant displays of minerals where you can see a large collection of minerals organized by their chemical compositions, a large group of elementary school-aged kids showed up and ran straight to the room full of preserved exotic animals to take photos with the cheetahs, gorillas, bears, and other large mammals. My cue to move on. 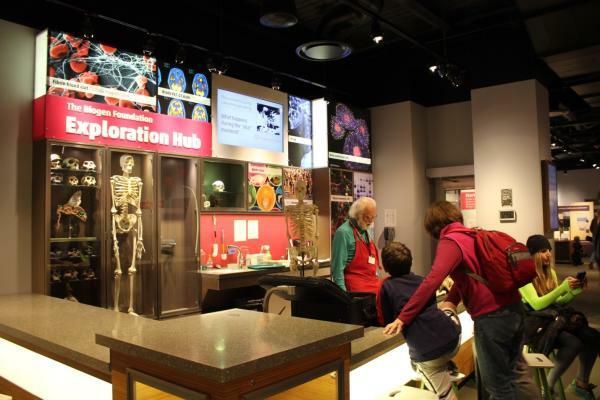 Getting in: Museum of Science tickets are included on the Go Boston Card All-Inclusive Pass. Head straight to the turnstile to have your pass scanned and you’re in. After wrapping up in Harvard Square, I got back on the T and made my way to the Science Park stop on the Green Line which drops you off right across the street from the Museum of Science. 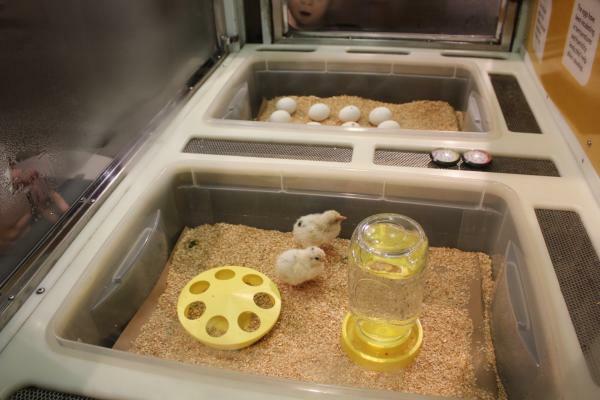 One of the first things I did when I got to the Museum of Science was look for my favorite exhibit where you can watch baby chicks hatch – every day. Sure enough, I found the display and there were two hatched baby chicks and one poking its way through its shell in the incubator. Fun fact: when chicks are ready to hatch they experience a muscle spasm, caused by the buildup of carbon dioxide in their blood, that helps them crack their shell and start breaking their way through. Next, I realized that I was just in time for the 12:00 pm lightning show at the Theater of Electricity, the world’s largest air-insulated Van de Graaf generator, so I booked it over to the theater and snagged a seat. 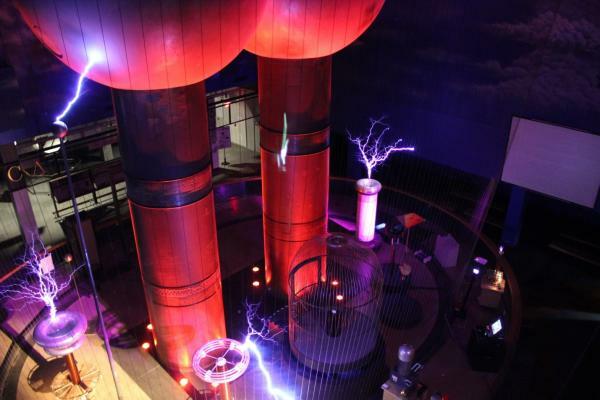 The show features an entertaining live demonstration of lightning that explores the science behind conductors, insulators, electricity, magnetism, and storm safety. After making my way through the rest of the exhibits, I was ready for lunch, so I decided to grab a quick bite to eat at the Riverview Café right in the museum for a quick lunch break with one of the best views of Boston’s skyline – even in the rain. 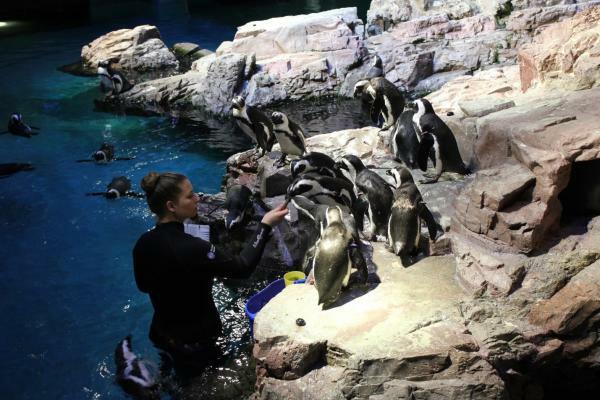 Getting in: New England Aquarium tickets are included on the Go Boston Card All-Inclusive Pass. Head straight to will call to have your pass scanned and get your ticket. After lunch I made my way to the Aquarium T Stop on the Blue Line which drops you off right next to the Aquarium. There were a couple of new exhibits at the New England Aquarium that I hadn’t seen since they opened, which was exciting. 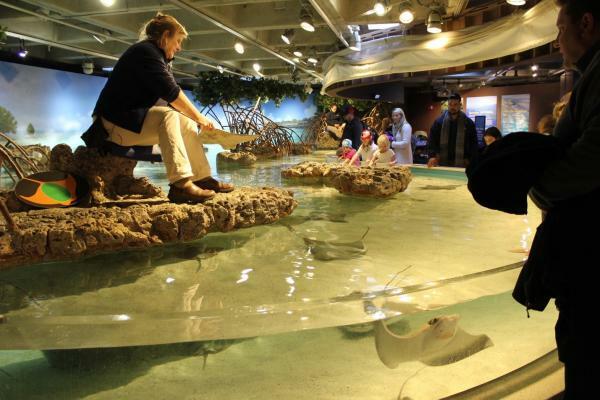 The first is the new touch pool experience where you can touch stingrays and sharks and ask the staff questions about the animals. The second new exhibit I hadn’t seen yet was the giant Pacific octopus tank which is home to two very large and very fascinating octopi. Like my visit to the Museum of Science, I happened to time my visit to the aquarium just right. 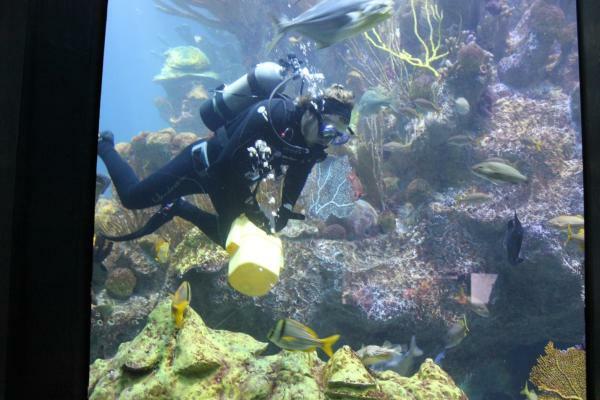 By the time I made my way to the top of the four-story coral reef tank, one of the daily diver talks was just getting started so I got to see the staff feeding Myrtle the turtle and learn a bit about how the aquarium care for their animals and maintain their habitats. Next, as I made my way back down the tank, I got to see some of the staff feeding and examining all of the resident penguins, which made for some lively entertainment so I ended up spending a fair amount of time just watching the penguins interact with each other and their aquarium surroundings. All in all, a great way to spend a rainy or snowy day in Boston.